This docu tool for databases catches the information saved in your db to automatically generate a database reference documentation for your MySQL databases. 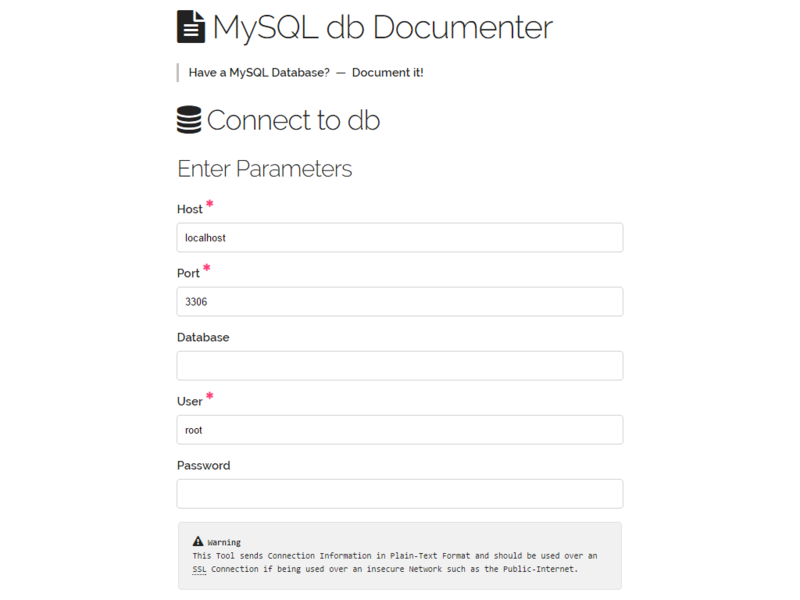 MySQL db Documenter is totaly new build up from scratch! Create a description of your databases – a documentation of all tables, columns and relationships so that everyone can easily understand your database development. 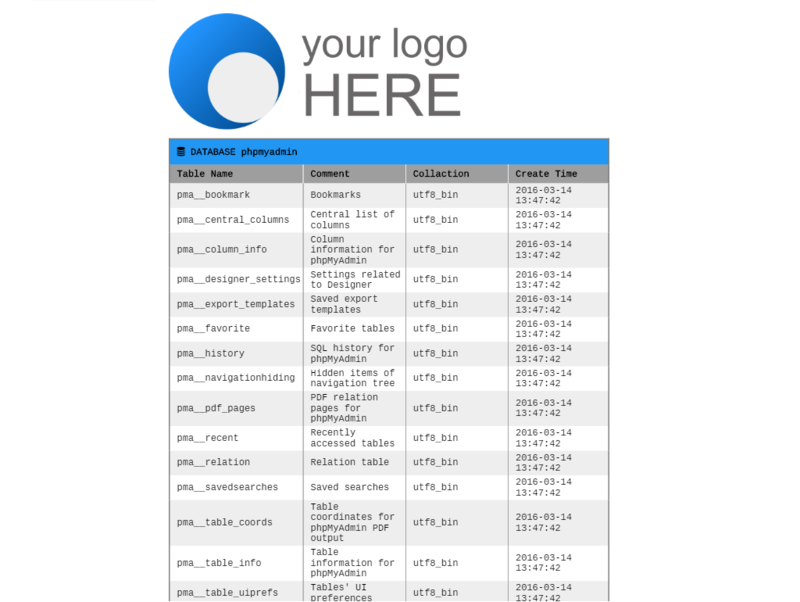 With this Tool you generate a full responsiv HTML Documentation of your MySQL Database! It is very easy to use this. Simply copy 1 file to you server, start your script, enter the Account Data and it will generate one HTML File from your DB source. That’s it… You are ready to deliver your docu!! If you run into problems please give me not a bad rate, please take a look at the documentation. If you need more help, be free to contact me via the support tab. I will do everything so that my product deserves a 5 star rating! All updates are included. Remember that the script will be updated regularly. We sell this software exclusively on codecanyon.